If you're a blogger, you probably know what this is. Basically, it's a nomination given by someone who knows (and hopefully likes) your blog. Hmm - this one is tricky to be honest as I just can't think of that many blogs - and one of them would have been Tim's! Andy at BadDogGaming - Andy is an old friend of mine, participant in my World of Warcraft parody video, and a very funny and smart guy. Duncan at Nobodys Reading Me - Duncan is a brilliant writer, and very very consistent too. I wish that I could turn out good quality blog posts as regularly as Duncan does. Tony from The Writers Bloc. I really enjoy reading Tony's work, plus he did post the best comment I've ever had to a blog post, I still smile when I think of McGee/DiNozzo suggesting asparagus rustlers in Norfolk and getting a Gibbslap in return. 1 - How long have you been blogging for? 2 - Why did you get into blogging? 3 - What blog post are you the most proud of? 4 - What do you do when not typing frantically at a computer? 5 - What's the weather like where you are right now? 6 - What environment do you find most conducive for writing? 7 - If travel was instant and money no object, what would be your perfect day? 8 - What's your pet peeve? 9 - What was the last book you read? 10 - What's your favourite drink? 11 - How do you see the world changing in the next fifty years? 5. 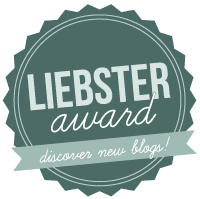 Post a comment on your nominees' blogs to let them know that they've been nominated. Okay - time to answer my questions from Tim! 1. What was your main impetus to begin blogging? To practice writing. I've always wanted to write, to create, but for a long time I've struggled with having enough time to do it on a regular basis - in the last fifteen years, I've spent thirteen of them studying (ten of them at the same time as working) which has been great but it's really nice to have some time to myself on an evening to write. 2. What was your favourite book? The Man on Platform 5 by Robert Llewellyn. I've always said that if you want to understand me, read this book. The main character is basically my natural resting state, and I need motivation and external influence to conform to societies norms. Basically it's about a train spotter that is made into a cool dude for a bet. It's well written and very funny (not to mention fascinating to see how technology has moved on since it was written!) I generally read it perhaps once a year. 3. If you had a time machine where would you go first? Difficult one. The birth of the universe? Myself when I was younger to give advice on what to do and what not to do (or even just give myself the winning lottery numbers)? A hundred years into the future to see what it looks like? Actually - back to the day my son was born, to relive the joy of his birth. And right after that, II'd go back about six years and tell myself to go to the doctors, get checked out, and make sure whenever I was suffering I'd go back too. 4. When you look at life what thing puzzles you most? Pensions. Okay, maybe they don't puzzle me, but, while everyone says how important it is to save for your retirement (and it is), it is basically a gamble. You're gambling that you're going to live forever, and that the pension fund people will have to give you money to live for decades and decades. They, meanwhile, are gambling that you're going to die a couple of weeks into your retirement and be quids in. 5. Have you ever posted a Facebook update just to make someone jealous, or angry? I endeavour always to keep social media interactions positive. I might express my emotions, but I hope that I never do it to make someone angry or jealous. 7. What is your favourite vacation spot, someplace you have been and intend to return? Paris wins - I had the best holiday there with my partner about five years ago, it was great and I'd love to return. But Dublin isn't far behind, it's probably the best place in the world to drink! 8. How many play lists are on your mp3 player? One, full of dance music for the gym. The gym that I should be in tonight, instead of writing! The playlist is full of music of questionable taste. Favourites that spring to mind include "Thunderbirds Are Go" by Busted, and "C'est La Vie" by B*Witched. 9. Looking at your life now, and thinking about your school years, in what subject do you wish you would have payed more attention? I don't really feel that there are any subjects that I should have paid more attention to. I don't know. I should say that this question doesn't really apply to me because I was taught at home, my first experience of formal education was when I was sixteen and went to Hull College. And when I went to college I studied IT, because that's what I was interested in. 11. Do you believe there is life on other planets? Absolutely. There's so many planets out in the universe, I can't believe that ours is the only one with intelligent life. But that's scary. I think, certainly in western culture, we are so used to everything in life being "fair" that the reality that tomorrow an alien invasion fleet could show up, decide that they want the Earth's resources (or to make the Earth a colony of theirs) and promptly kill us all without effort (or enslave us if we're lucky) is a little unsettling. Fingers crossed it doesn't happen in my lifetime! Thanks again to Tim for the nomination and I look forward to reading the answers from my nominated blogs! You were a natural choice. I am going to have to check out the book.